Lee Elkinson is a highly experienced and respected staffing industry executive with a track record of creating differentiating value in a highly-competitive market through the development of great teams. Lee has enjoyed more than 25 years of success developing companies within the accounting, engineering, healthcare, and light industrial staffing verticals. Prior to joining Snelling, Lee served as Chief Executive Officer of Quanta USA, a global leader in workforce management with international operations in six countries. In his time with Quanta USA, Lee spearheaded several cutting edge IT and marketing-related initiatives that resulted in more efficient processes, higher employee engagement, and increased profits to the bottom line. Lee also served as President of two other national staffing organizations. His track record of deploying innovative solutions set his companies apart from the competition. Lee is a graduate of the University of Connecticut with a degree in marketing. In his spare time, he enjoys spending time with his wife and two daughters. 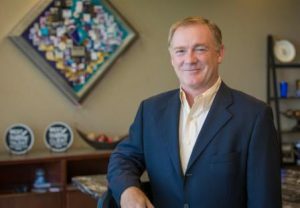 Kevin McGahey serves as Snelling’s Chief Financial Officer where he oversees the company’s financial operations. He brings extensive experience in financial leadership to the company, including 14 years in the PEO, staffing, and recruiting industries. Prior to joining Snelling in April 2018, Kevin was the Chief Financial Officer at Staff One HR, a national HR managed services company based out of Dallas. During his time there, he led initiatives which resulted in operational efficiencies and continuous improvement, with an emphasis on excellent client service. Kevin has also held positions at HealthSmart Holdings, ACE Cash Express, QVL Pharmacy Holdings, and U.S. Personnel. He is a CPA and holds degrees in both Accounting and Management from Texas A&M University. In his spare time, he enjoys spending time with his wife and children. Beginning his career at the international law firm of Akin, Gump, Strauss, Hauer & Feld, LLP, Keith has served as Snelling’s General Counsel for over two years. 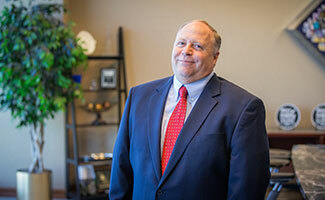 With an extensive legal background that includes mergers and acquisitions, franchising and corporate, he has spent over 20 years as General Counsel of various companies in the Dallas area, with a focus on franchise development and support. In addition to legal responsibilities, he has also served as Chief Operating Officer and SVP – Corporate Development. Having reporting responsibilities for over 10 different types of departments over his career in addition to the legal department, he has gained invaluable business experience which allows him to better serve the needs of Snelling staff, branch offices, and franchisees. Keith attended Texas Christian University for his undergraduate degree and the University of Texas at Austin for both his Juris Doctorate and his Masters in Business Administration graduate degrees. Serving as the Vice President of Franchise Operations, Michael Bacchiocchi is responsible for the growth, development, and the financial success of Snelling’s valued franchise network. Prior to joining the Snelling team, he served as the Chief Financial Officer at Quanta US, an international staffing and executive recruitment firm. Michael’s background includes more than 20 years of experience in payroll, finance, and treasury management in various staffing, banking, retail, and media companies. As a highly-skilled and engaged manager, he analyzes complex business situations, develops innovative alternatives, and implements cost-effective operational solutions. Michael graduated with his Bachelor’s Degree in Accounting from the University of Central Florida. In his spare time, he enjoys traveling, loves to entertain and bake for friends and family, and really enjoys good comedy. Bruno Gonzalez is a seasoned staffing professional who joined the Snelling team in October 2017. Bruno oversees the Northeast Region for Snelling including multiple markets in New York and New Jersey. He brings more than eight years of experience working for national staffing firms in Regional Director and VP Roles. Bruno has worked in multiple staffing verticles, specializing in light industrial. He has a proven track record of implementing strong operational processes and driving growth in multiple markets. In his free time, Bruno enjoys spending time with his family and attending concerts and various sporting events. 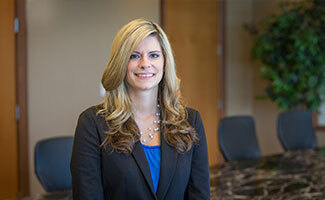 Katy joined Snelling in August of 2012 in the role of Human Resources Compliance Manager. This role gave her the opportunity to travel the country and meet so many of the wonderful Snelling owners and employees. Katy moved into the role of Director for Human Resources in 2015. Prior to joining Snelling, Katy had the opportunity to complete a wonderful career of 34 years with RadioShack, working for 20 years as the Human Resources Director for the North American Manufacturing Division and then moving to the role of Asst Director of Employee Relations at the RadioShack Corporate Headquarters in Fort Worth, Texas with responsibilities for the Western Retail Region, the national repair locations, all distribution centers and manufacturing facilities. Katy has a BBA in Human Resources and over the course of her career has received numerous awards from RadioShack and community organizations for her role in employment activities. Katy received Employee of the Year award from Snelling in 2014. Katy has 3 children and 6 grandchildren and loves to travel. As Executive Director of IT, Caren is responsible for the IT infrastructure, software platforms and database management of Snelling’s branch and franchise network, as well as the Dallas corporate data center. She has been with Snelling for 25 years having transferred to Dallas from Sarasota, FL to launch Impact Business Technologies – a Snelling subsidiary. She joined the corporate IT Team as a Systems Analyst and has worked with the IT team in a variety of roles; Database Administrator, Director of Database Administration, Director of Information Technology, Vice President of Information Technology, Sr. Director of Applications with the most recent being Executive Director of Technology. Caren attended the University of South Florida earning a Bachelor of Science degree in Computer Science from the College of Engineering. In her spare time, she enjoys native plant gardening and aikido. Jeff is Snelling’s Safety & Risk Manager and brings over 30 years of experience in Environmental, Health and Safety disciplines. He has developed numerous successful Safety Programs in diverse manufacturing environments resulting in reduced injuries, ergonomics impact and improvements, workers compensation cost reductions and enhanced environmental compliance and initiatives. As well as being a highly sought-after safety consultant, he has spent over 10 years as a volunteer with the local Fire Department/EMS as a firefighter and paramedic. 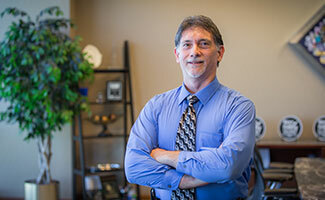 Jeff has an AS in Business Management and is certified in occupational safety and environmental compliance. Jeff’s favorite activity, aside from spoiling his grandson every chance he gets, is remodeling his home and finding ways to incorporate antiques and barn wood into the décor. Shannon is responsible for the development and execution of all strategic training, marketing, and operations initiatives within the Snelling network. Her experience is diverse having operational responsibilities in corporate training, sales and business development, recruiting, and branch office management. She began her career as a Recruiter at Advantage Staffing where she was quickly promoted to into a leadership role managing client relationships and daily operations of multiple large onsite opportunities. It was in this role that she found her passion for the operational piece of the business and was eventually promoted into Operations Manager supervising a team tasked with new hire orientation, training, payroll, unemployment, and other back-office processes. After Advantage, Shannon worked at Mitchell Martin as the Vice President of Strategic Accounts where she maintained large client relationships and managed the order fulfillment process. 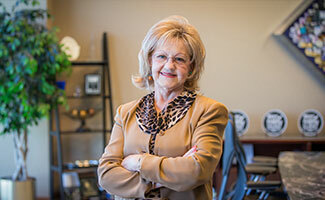 She received her Bachelor’s of Business Administration from Sam Houston State University with a concentration in Human Resource Management and Economics. In her spare time, she loves spending time with her family, participating in group fitness activities, and watching football (Go Cowboys!). Joe has been the Controller for Snelling since 2012. He began his career as an accountant for Morgan Building Systems in manufacturing accounting and inventory leaving to pursue public company exposure at Peerless Manufacturing Co., a small energy-based company that manufactured gas/liquid filtration and pollution control systems. In 2008, he joined Amerimax Building Products as Accounting Manager working closely with the Controller building a manufacturing and financial reporting group. He is a graduate of the University of Texas-Arlington where he received his Bachelor’s Degree in Accounting, along with subsequently attaining his CPA certification. He enjoys physical activity; having previously attained a 2nd-degree black belt in Taekwondo and currently engaged in learning Wing Chun Kung Fu.